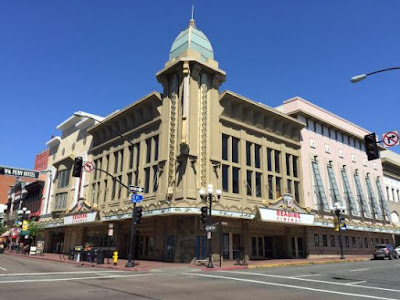 Downtown's former Reading Cinema at Fifth Avenue & G Street, which closed in February 2016, will soon become Theatre Box - a luxury, Hollywood-themed, 8-screen movie theater from one of the owners of Los Angeles' Chinese Theatre. The theater will share the 73,000 square-foot space with two dining concepts - Landshark Bar & Grill by Jimmy Buffett and Sugar Factory restaurant, lounge and candy store. A multimillion dollar construction on the Theatre Box is currently underway, led by LA-based architect and designer Gulla Jonsdottir, and is anticipated to be completed by years end. The project developer is Elie Samaha - a film producer and part-owner in the TCL Chinese Theatre (originally Grauman’s Chinese) in Los Angeles, which is known as a setting for Hollywood premieres and its adjacent Walk of Fame walkway tiled with concrete blocks inlayed with celebrity handprints. Theatre Box will offer eight screens on the second floor of the building with 815 high-end, reclining seats in total. There will be seven luxury auditoriums, which will offer delivery of food and drink service that can be ordered by iPads located at each seat. Developers are considering combining two of the theaters to offer downtown’s first IMAX theater. There will also be Hollywood memorabilia installed, including up to 50 celebrity-handprint tiles like those outside the Chinese Theatre in LA. A Sugar Factory restaurant, which currently has 17 locations around the world, will sit along 5th Avenue and offer French bistro-fare and frequent celebrity visits, as well as a Chocolate Lounge, a gelato stand, and a full candy store. 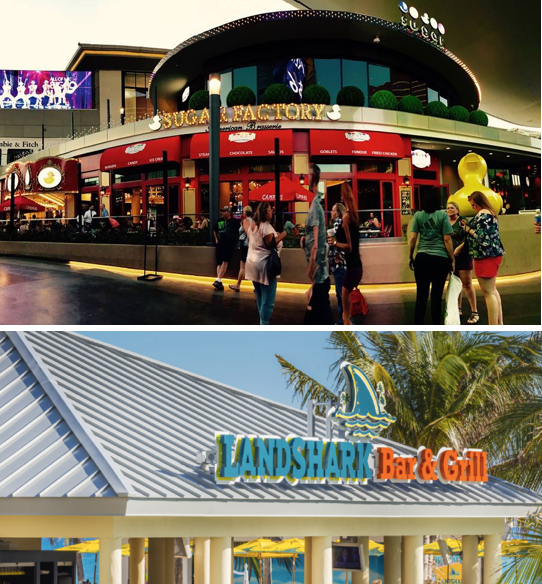 Next door there will be a Landshark Bar & Grill restaurant, which is part of singer Jimmy Buffett's Margaritaville company, which will offer a casual, laid-back feel and menu. The developers also plan to open a 5,000 square foot rooftop bar in 2018.